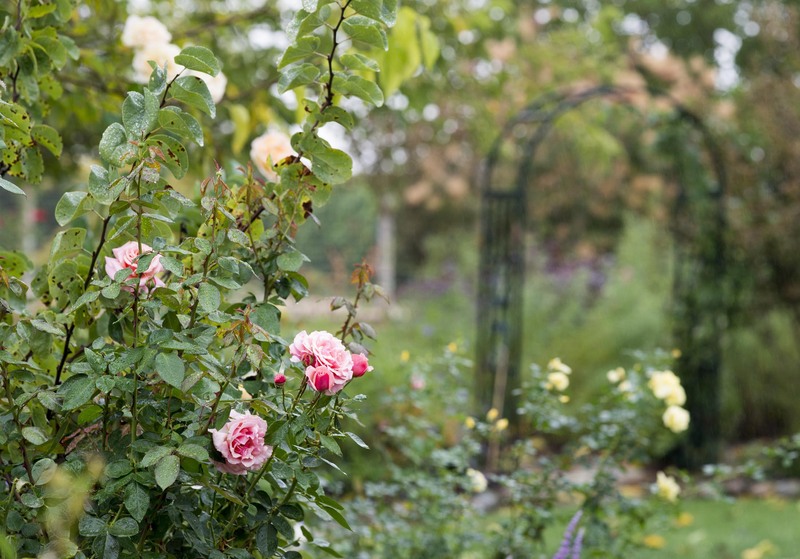 How a garden is begun determines everything about how it grows. It starts with a solid foundation of good soil. It requires just the right amount of sunlight, water and nurturing until its roots are firmly planted to support its future brilliance. Maybe I am a gluten for punishment, or maybe I just love puppies. Either way, I find myself fostering another one. Her name is Journey. And like a new garden, she requires some nurturing to find her forever home. She arrived the same time as Irish’s litter. An 18-year-old who would soon be leaving for college brought her home as a surprise for his mother. It was an unwelcome surprise, and so, she came to us at the age of three months. Puppies are always in high demand. One that was already old enough to be home would not be with us long. 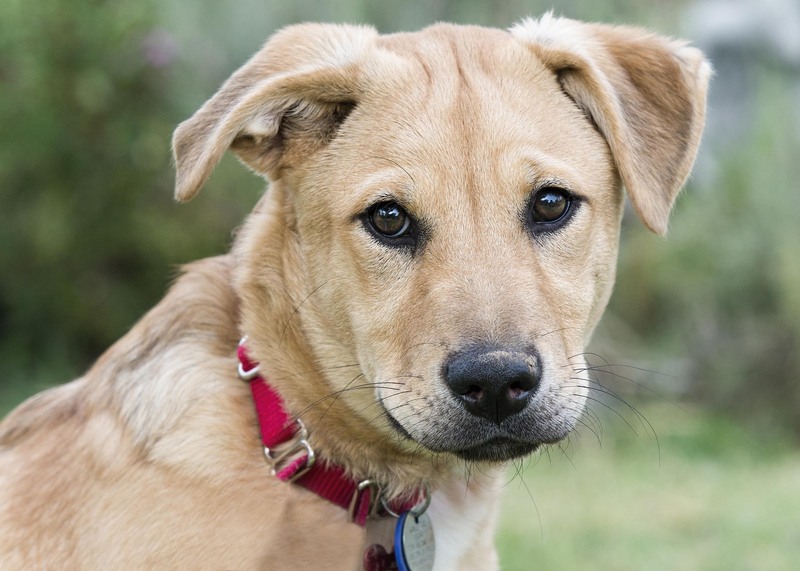 She went home with a man who fell for her obvious German Shepherd mix – one of his favorite breeds. He returned her less than 24 hours later because she threw up in his car and whined when she got home. This was our bad. She went home again with a young couple. The husband was in love, but the wife was not really on board from the start. She was returned quickly for being too much work (in other words, a puppy). The third match seemed like a good fit. But Journey is not your average snuggly, submissive puppy. She is an independent, sometimes headstrong girl. They described her as “defiant.” The wife thought she was not “alpha” enough to handle her. Someone said she resource-guarded. You would think she was Cujo at four months of age. By her third return, I was on my second batch of puppies. Our president took her home and worked with her. 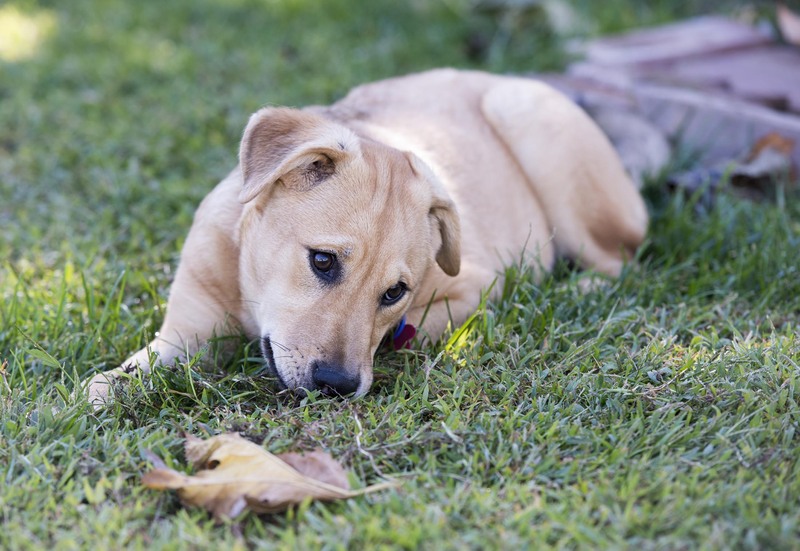 The “defiance” – which was just bad, untrained puppy behavior – disappeared quickly with her firm, but kind corrections. Still, her puppy bites and jumps were off-putting to our other volunteers who had less experience or patience for puppy transgressions. Now five months of age, what Journey needed was what every puppy needs: both love and firmness, consistency of expectation and follow through. Had I not been so preoccupied with the puppy litters, I would have spent time with her sooner. She was my garden helper for a week. She responded quickly to corrections and commands. We tested her supposed resource guarding. No issues. 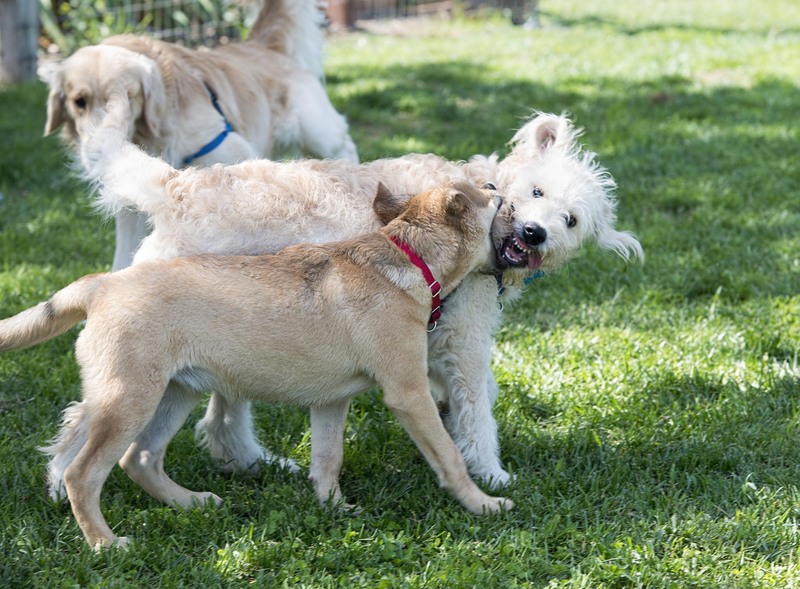 But her play with other dogs was atrocious. So I brought her home to foster thinking my Yogi boy could teach her some better manners. What a puppy experiences shapes the dog they become. 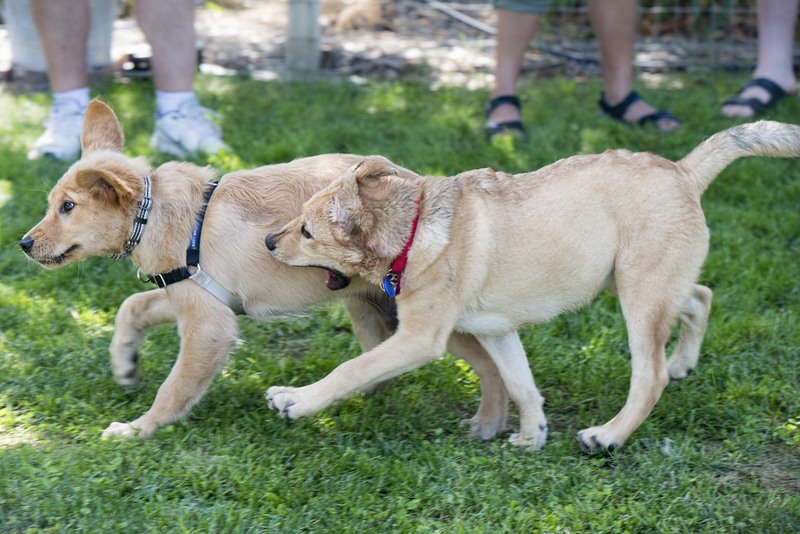 If they leave their mothers or litter mates too soon, they miss out on important dog-to-dog socialization. What Journey needed was an appropriate helper dog to expend her energy and teach her how to play politely with other dogs. 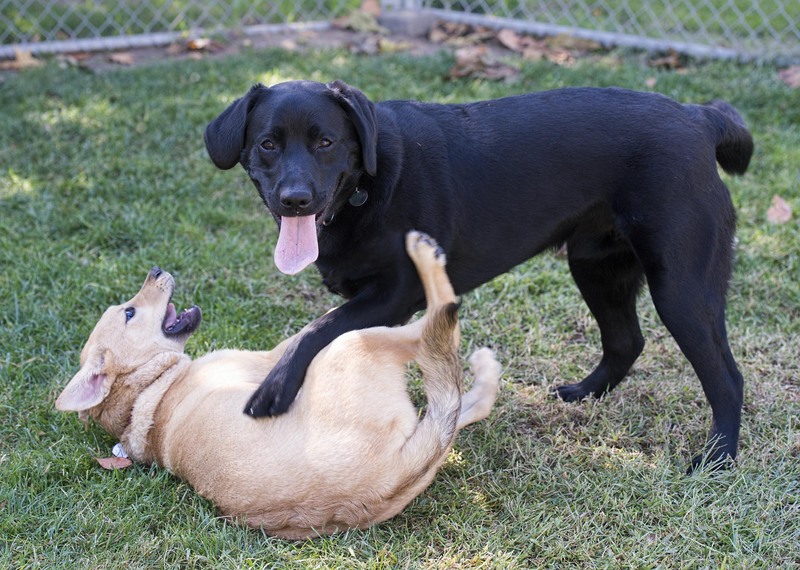 My Yogi has issued corrections to the puppies we have fostered – but this little girl had my 70-lb. boy pinned in less than two minutes. Biting at ears, lips, throat, and boy body parts was not going to get this girl home – and, as she grew older and bigger, would significantly limit her experiences. There is no one training technique that works for all dogs – much less all puppies. 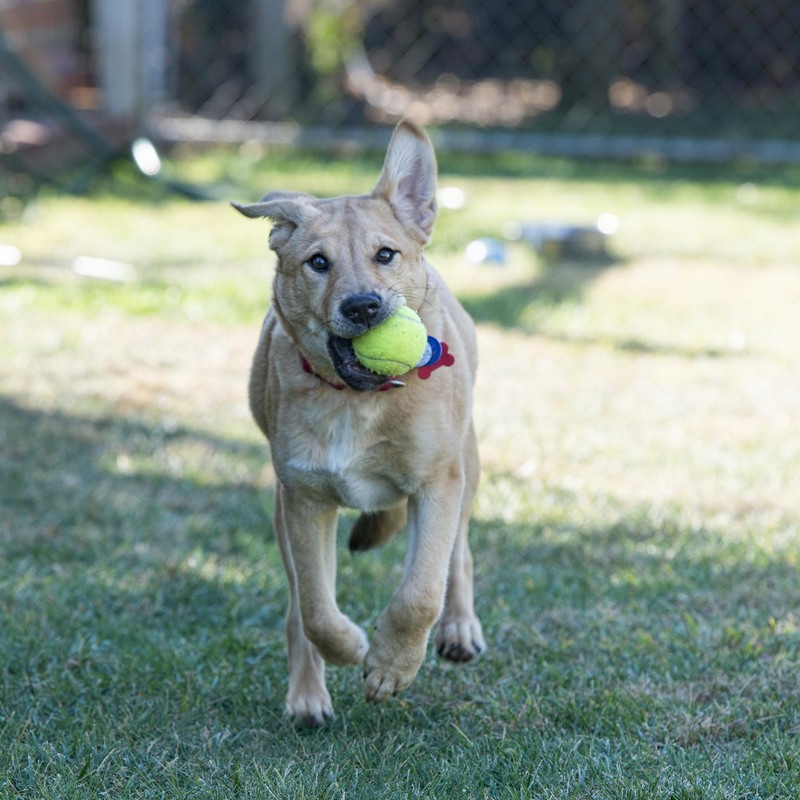 Through trial and error, and the good advice of my fellow rescue volunteers, I shifted Journey’s play with Yogi to games of fetch/chase and tug of war. He’s too fast for her to catch, and a tug toy gave her something safe to bite on. As soon as she escalated, she earned a water squirt. If that failed, she went to timeout. 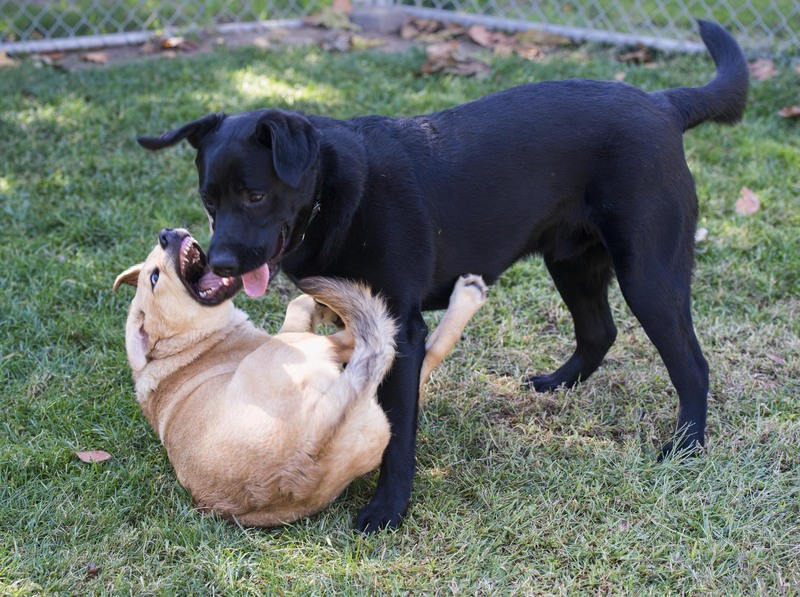 Within two days, their play was dramatically different – to Yogi’s great relief! By chance, we got a new dog in: a ten-month-old named Jack the Lab (aka Jack the Tank!) who joined Journey in the puppy yard for some play. Within seconds of her misdeeds – he had her pinned! She delighted in the play but quickly learned that biting would earn her a smackdown. 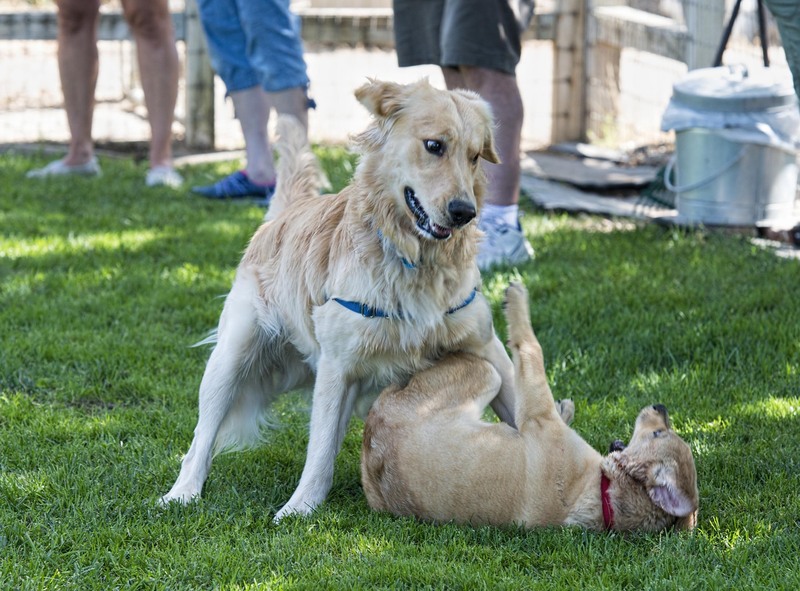 In puppy class, a beautiful year-old Golden named Oden took a shine to her. He lets her get away with nothing, and if she tries to be inappropriate with any of the smaller dogs, he body checks her to the ground. These are the kind of corrections that puppies usually get from their mama dogs and litter mates. For reasons we’ll never know, Journey missed them. While Jack and Oden issue corrections (nicely), Yogi delivers the love. And increasingly, those sharp puppy teeth are being replaced by kisses. My goal is for Journey’s next family to be her forever family. My hope is that her life will be filled with journeys – of adventure. Now I’ve witnessed Journey’s time with Jack, I’m so happy that Journey’s path ahead looks so much more promising! It sounds like the first 3 people/family’s should think about getting an older dog already trained. It’s sad Journey had to go through so much rehoming in such a short time. Hopefully the next will be her furever. Especially now since she’s been shown how to be a polite young lady. She is absolutely darling. I feel so sorry for Journey rough start, but how wonderful that she has you to patiently nurture her. I love the video and watching her wrestle with Yogi. 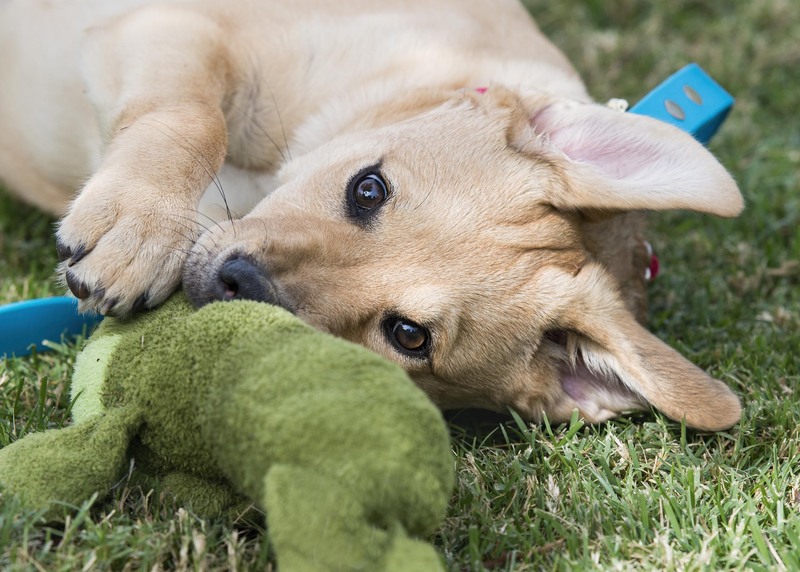 Her puppy behaviors are adorable to view from these beautiful photos, but I can see there’s a need for her to learn some socialization skills. 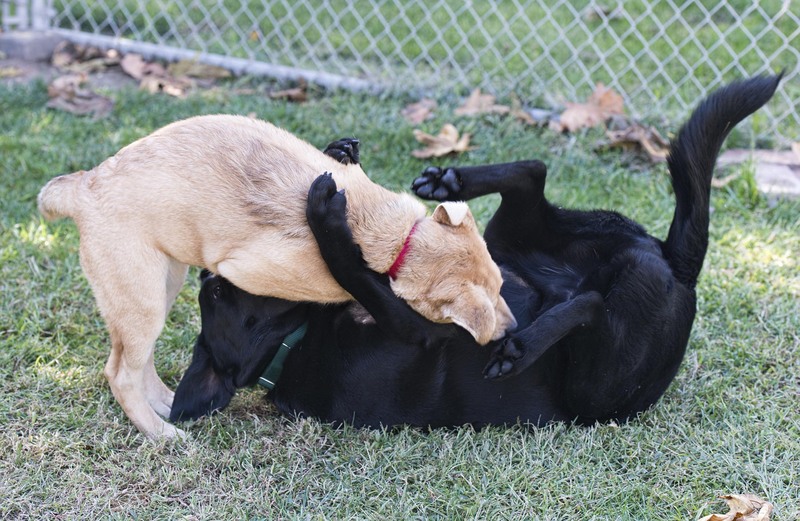 I really enjoyed reading how the other dogs participate in this training! Good luck to you all. She’s a sweetie! Helper dogs truly are the best teachers! So glad I met Journey in the garden today. Name seems appropriate. 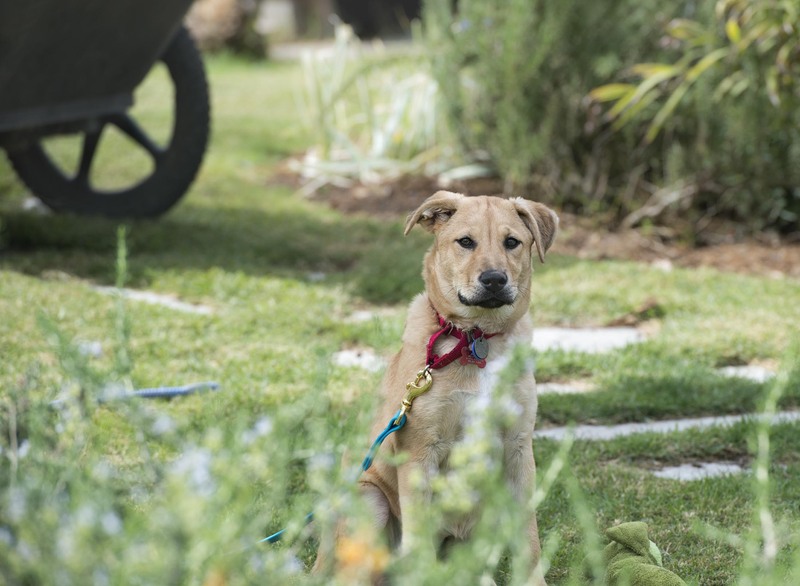 Thank you for helping Journey grow into a more social and acceptable dog for adoption. Bless you for your persistence and patience, Audrey! Oden correcting Journey reminds me of my sweet angel Callie correcting Ducky (almost constantly) back when we first adopted the little black demon dog. Callie was my helper, even with Shadow who was only six months younger. She taught both of her sisters how to be good dogs – from day one – but Ducky was a stubborn little cuss at times, not wanting to behave. Thankfully, Callie was patient and loving with her baby sister and all the lessons did eventually “sink in”. It appears that Oden’s and Jack’s lessons are “sinking in” for Journey as well. Our new puppy has her forever home!!! My beloved Chester passed away two months ago. Love of my life! After some severe mourning I suddenly woke and was ready for my new love. After much searching I returned to Homeward Bound Golden rescue and discovered Journey, now Charli, (Lew calls her CJ- Chester Jr). She has stolen my heart and my covers. You are everything I wished for her. Happy life, sweet girl! Can people be sent to your place for socialization training. We could start with our president. Sorry………I couldn’t resist. Bad me. Time out.